Your washing machine should remove all stains from clothing and other items, although even an ASKO appliance appreciates the personal touch at times. ASKO washing machines promote a tailored experience by offering the user special modes, functions and programs, and even the most stubborn stains can be banished by referring to our stain guide for dazzling results. 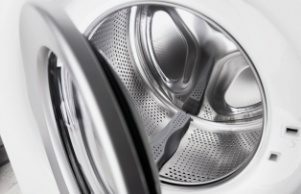 What stains can washing machines remove? Washing machines are designed to remove stains, clean clothes and spin them relatively dry to be placed in a dryer or hung on the line. At least that’s how it works in theory. 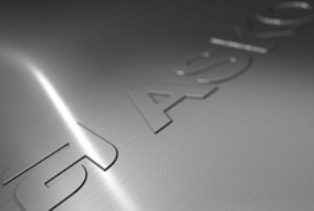 Older machines and inferior products go through the motions yet fail on all counts, so it’s worth investing in an ASKO appliance that does the job properly. Prior to washing any garment, you should read the garment’s washing instructions to make sure you use the correct stain removal wash setting. It’s also important to treat the stain as soon as possible, as stains that are left untreated are less likely to come out in the wash. Below are some stain treatments recommended by ASKO for cotton items. Other approaches for wool, synthetic and silk garments are also compatible with ASKO laundry appliances. · Lipstick: A standard wash is usually adequate – select normal white / colours or heavy soiling + pre-wash.
· Mascara: Pre-treat the stain by rubbing in a little laundry washing liquid or detergent. Rinse thoroughly afterwards, then wash the garment as normal. · Skin cream: A standard wash is usually adequate – select normal white / colours or heavy soiling + pre-wash.
· Nail Polish:This extremely tough stain can be initially treated with oil free acetone, although it’s not suitable for acetate fabrics. After this step, machine wash as normal. · Butter / Grease:A standard wash is usually adequate – select normal white / colours or heavy soiling + pre-wash.
· Chocolate: Scrape off as much chocolate as possible from the garment. Pre-treat the stain with washing liquid or detergent, then wash at the highest temperature suitable for the garment. · Chewing gum: A standard wash is usually enough for good results – select heavy soiling + pre-wash.
· Coffee: Soften old stains using glycerine, then pour boiling water over the stain. For stubborn stains on whites, try using bleach with 3% hydrogen peroxide, firstly on a concealed seam to make sure the garment is suitable for the procedure. Then wash as normal. 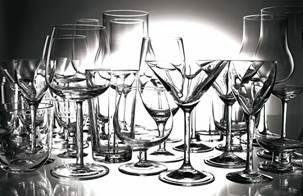 · Red wine: Pour warm glycerine (50ºC) over the stain and work it in. Rinse with water and add 10% acetic acid and work the stain again. Use 3% hydrogen peroxide for suitable white garments where staining is still visible, then wash as normal. · Beetroot: Hold the stain over steam and pour on warm glycerine (50ºC). Work the stain, then pour on laundry detergent solution. Add 10% acetic acid and rinse thoroughly. Use 3% hydrogen peroxide for suitable white garments, then machine wash as normal. · Tomato puree: A standard wash is normally enough – select heavy soiling + pre-wash for superior results. · Orange: A standard wash is usually adequate. – select normal white / colours or heavy soiling + pre-wash.
ASKO washing machines are adaptable and make it easier to remove all types of stains including ink, varnish, paint, rust and oil. It’s never too late to make old garments look as good as new with ASKO laundry appliances. What washing machines are gentle on clothes? Modern washing machines include functions for multiple wash purposes. 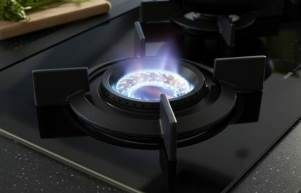 Quality ASKO appliances deliver all solutions, easily accessed by our ‘Line Concept’ where desired settings are simply inputted from left to right without confusing the user. While regular appliances can perform basic wash functions that can’t be personalised, ASKO washing machines cater to the gentlest garments using settings that include wool/hand wash, anti-allergy program, hygiene settings and much more. What washing machine setting should you use for stain removal? 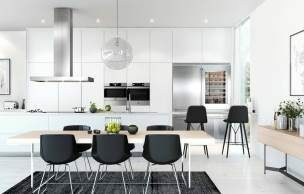 It’s true that high-end products have greater capacity for satisfactory stain removal, so why not experience ASKO high-end appliances at prices affordable for regular Australians. There are a lot of methods for removing the most damaging and persistent stains, although in many cases your ASKO washing machine will do all the hard work for you. ASKO stain removal initiatives include programs for cotton, wool and synthetics, Super wash function, Super rinse function, adjustable spin speed, plus Normal mode, Green mode, Allergy mode, Speed mode and Intensive mode. What are the best washing machines for removing stains? Stain removal is a science that sometimes relies on appropriate products such as acetic acid and hydrogen peroxide applied in the right quantities. Fortunately, ASKO washing machines do the rest of the work for you, with results that are sure to please the eye. 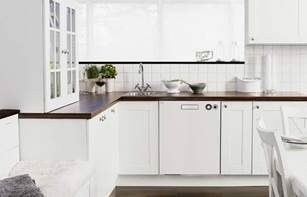 Stains are a fact of life, particularly for parents and guardians of young children, so having your stain removal strategy backed by powerfully cleaning wash cycles and ASKO appliance innovations is the no-fuss strategy for harmonious households. How can you prevent stains happening in the wash? It’s virtually impossible to prevent stains on clothes, bedding, towels and other household items. The situation is exacerbated when clothes come out of the washing machine with colour run or contamination from other wash items. This is just one reason we make ASKO 7kg, 8kg and 10kg washing machines multifunctional and versatile. The days of taking a risk with every wash load are over thanks to the dozens of functions, features and modes of ASKO laundry appliances.